Cruises run December through April and sail daily at 1:30pm. 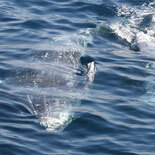 Experience the San Diego Winter Afternoon Whale Watching Cruise in style aboard a Hornblower Cruises & Events yacht. 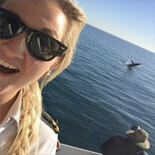 Tour San Diego Bay, gaze at awe-inspiring sights of the majestic Gray Whale and relax on deck, with your camera in one hand and a cold drink in the other. All aboard! 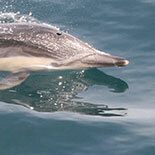 Make your reservations and get your eTickets today for the San Diego Afternoon Whale and Dolphin Watch. It's a once in a life time adventure for the entire family! Operates December 9th through April 19th. 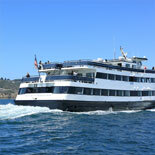 Cruises daily- 1:30 pm to 5:00 pm. Reservations are required at least 1 day in advance of desired tour. E-Ticket will contain details to reconfirm this reservation.